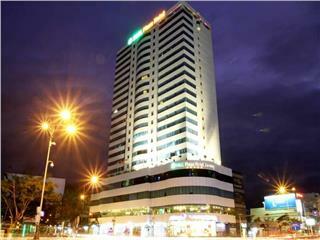 Muong Thanh Da Nang Hotel is an international 4 star standard hotels in Da Nang. It is the combination of northwestern culture and luxury. The hotel has 370 opulent rooms and suites, an indoor swimming pool, a modern fitness center and other services. Muong Thanh Da Nang Hotel, located at 962 Ngo Quyen, An Hai Tay in Son Tra, is the 18th member of Muong Thanh Corporation. The hotel was built in 2013 in accordance with 4 star standard with 370 rooms and eight luxury apartments. Muong Thanh Da Nang Hotel is one of the best 4 star hotels in Da Nang, located near Han River, between two famous bridges of the city – Dragon Bridge and Han River Bridge. It is about 5km from Da Nang International Airport. 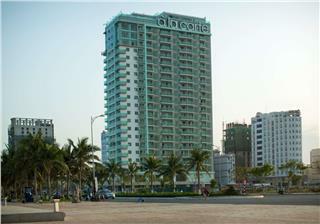 From the hotel, guests can easily travel to top outstanding attractions in Da Nang. As being one of key member of Muong Thanh Hotel chain in Central Vietnam, Muong Thanh Da Nang Hotel has nearly 200 professional staff and modern facilities. Featuring unique culture of Thai ethnic people, Muong Thanh Da Nang Hotel will bring to guests new experiences when visiting the city. 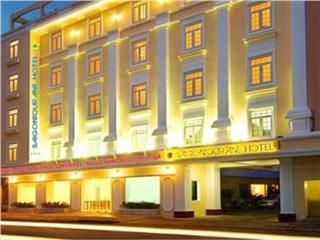 Muong Thanh Da Nang Hotel is one of the most visited 4 star hotels in Da Nang. The hotel is the harmonic combination of Northwestern Vietnam’s culture and European luxury and modernism. This makes Muong Thanh Da Nang Hotel modern but featuring traditional characteristics amid dynamic Da Nang City – the cultural and political center of Central Vietnam and Highlands. The hotel has 370 rooms, including 57 Superior Rooms, 254 Deluxe Twin Rooms, 20 Deluxe Triple Rooms, 26 Premier Deluxe Rooms, 11 Executive Suites, 2 President Suites, and 8 apartments. All of them are equipped with modern amenities and facilities, along with attentive and professional staff. Each room is designed in contemporary and elegant style, which brings to guests a sense of relaxation, luxury and coziness. The atmosphere in room is spacious and clean. Each room has a large window with city and river view. 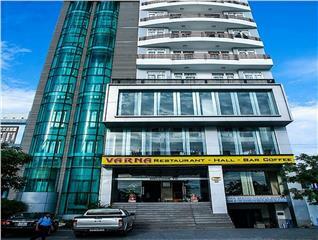 The hotel can meet all needs of guests who are going on holiday or business in Da Nang. As one of the best hotels in Da Nang, Muong Thanh Hotel is outfitted with five modern meeting rooms, a large indoor swimming pool, a full-of-equipment fitness center, and an opulent restaurant and bar system. At the hotel’s restaurants and bar, guests will have chances to enjoy delicious and lavish meals with both local and international dishes. Service of spa and massage in this hotel will also satisfy guests. With an area of 60 square meters and modern sound system, three VIP rooms will meet the demand of guests’ entertainment. Muong Thanh Da Nang Hotel is really a great option for guests. Muong Thanh Hotel Da Nang has 370 rooms, including 57 Superior Rooms, 254 Deluxe Twin Rooms, 20 Deluxe Triple Rooms, 26 Premier Deluxe Rooms, 11 Executive Suites, 2 President Suites, and 8 apartments. All of them are equipped with modern amenities and facilities, along with attentive and professional staff. Each room is designed in contemporary and elegant style, which brings to guests a sense of relaxation, luxury and coziness. The atmosphere in room is spacious and clean. Each room has a large window with city and river view. 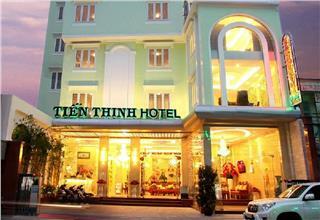 The hotel can meet all needs of guests who are going on holiday or business in Da Nang. As one of the best Da Nang hotels, the Muong Thanh’s hotel is outfitted with five modern meeting rooms, a large indoor swimming pool, a full-of-equipment fitness center, and an opulent restaurant and bar system. 5 meeting rooms of the hotel have different sizes with high technology. Han River Meeting Room has a capacity of 500 seats, while Son Tra Meeting Room can accommodate 140 guests. Meanwhile, My Khe Meeting Room can occupy 32 guests. 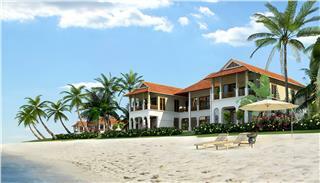 Staying at the hotel, guests will be provided with a wide range of high-end services. Megah Spa and Massage in Muong Thanh Da Nang with a luxury and absolute relaxing space is a wonderful venue for taking a rests and recreate. Guests will be served natural treatments and unique traditional therapies. Besides, the fitness center will be a great place for you to improve health with modern facilities and exciting atmosphere. Located on the 4th floor, indoor swimming pool will satisfy guests with cool water and unique cocktails in Aquapool Bar. With an area of 60 square meters and modern sound system, three VIP rooms will meet the demand of guests’ entertainment. Bar and restaurant system of Muong Thanh Da Nang Hotel offers typical dishes of local and international cuisines. Located in the lobby, Daknan Restaurant gives guests a chance to enjoy delicious and famous steak and grilled dishes. The restaurant is open from 6:00 to 24:00. On the second floor, Tuy Loan Restaurant is a great venue for wedding parties with the capacity of 600 seat. As a place of enjoying breakfast, Cam Le restaurant will offer guests with typical Asian dishes and Da Nang specialties. Besides, Hai Van, Phong Hai, and Dien Hai restaurants are always ready to serve guests. You also can choose your favorite cocktails at the poolside bar or a cup of coffee at Non Nuoc Bar. All will help you have an unforgettable holiday. Note: The rate includes breakfast, VAT and service charge. The rate may be changed without notice in different periods and the quantity of occupation. You should contact the booking staff for more information. - Check-in time is at 14:00. - Check-out time is at 12:00 noon. Late check-out will occur surcharge a bit of fee. - The policy may be changed without notice. You should contact the booking staff for more information. - Infant 0-1 year(s): free of charge if using existing bedding. Note, if you need a cot, there may be an extra charge. - Children 2-11 year(s): free of charge if using existing bedding. - Guests over 11 years old are considered as adults. - Extra beds are dependent on the room you choose; please check the individual room policy for more details. Note: The policy may be changed without notice. You should contact the booking staff for more information. 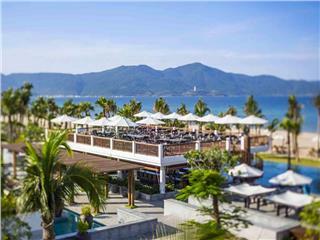 Upon confirmation of bookings, Muong Thanh Da Nang Hotel requires a credit card to confirm the booking. Customers provide bank details as a guarantee of the reservation except for special conditions or rates. They will use a credit card or retail cards (Credit cards accepted at the hotel: Master Card, Visa, and JCB, depending on choice of the hotel). Please contact the booking staff for more detailed information. Please fill out this form to inquire the hotel. Our working hours are 08:00 AM – 17:30 PM Monday to Friday & 08:00 AM – 12:00 PM Saturday (GMT + 7). We will get in touch with you shortly so please check your spam box too after submitting the form. *** We are a local guide company. We will help you to choose and negotiate best hotel and maximize your travel experience. We link you through directly to the hotel company. 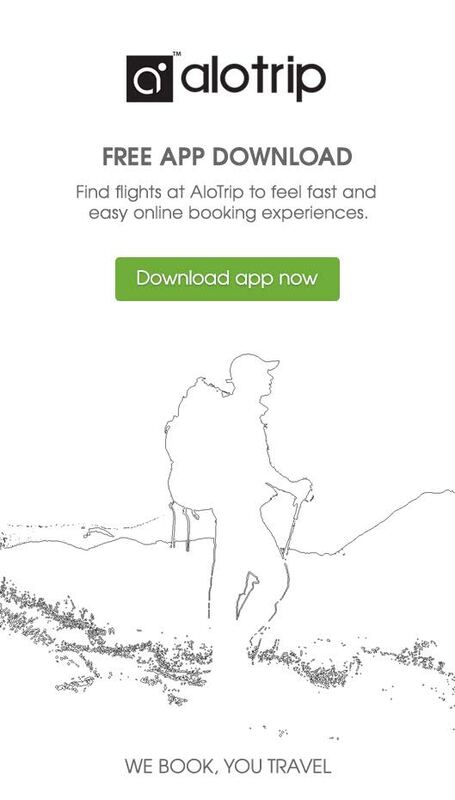 No hidden charges, no added fees. So you get the cheapest price every time! 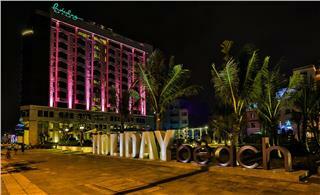 Crowne Plaza Da Nang is one of the biggest hotels built along coastal area of Da Nang. All rooms in this hotel area equipped with modern amenities. 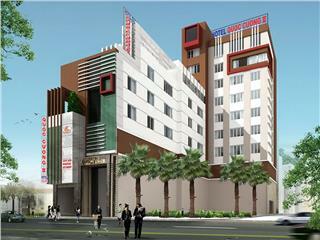 The 4 and plus star hotel also provides guests with exciting entertainment center and luxury services. Brilliant Hotel Da Nang is a perfect stopover in your holiday in Da Nang. 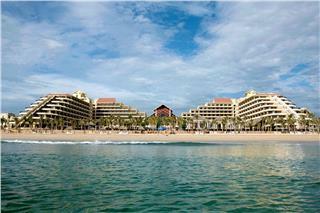 The hotel possesses 102 luxury and modern rooms and suite, along with various services of dining, relaxing and business. The average rate is from 81 USD per night. Holiday Beach Da Nang Hotel & Spa, one of the most luxury four star hotels in Da Nang, provides guests with the high-end accommodation and entertainment facilities. Paying from 120 USD/night, guests will be satisfied with the best services. 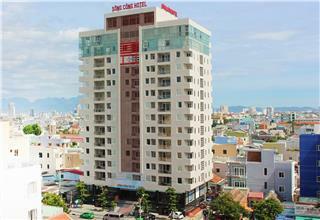 A La Carte Da Nang Beach Hotel is one of the newest 4 star hotels in Da Nang. With a prime position by the My Khe Beach, one of the best beaches in the world and possessing the first infinity pool in Vietnam, A La Carte is your perfect choice. Well-positioned at Da Nang City Center, Quoc Cuong II Hotel is an ideal base to stay and explore this beautiful coastal city. Away from the city center 100m, the hotel is near Da Nang tourist’s attractions, commercial centers, bars and restaurants, etc. Located in the coast of Bac My An Beach, Pullman Da Nang Beach Resort offers tourists modern amenities, high-quality services, and many recreational activities. 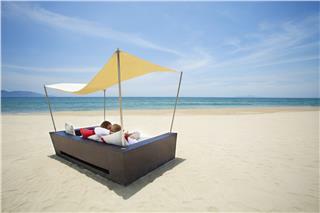 In Pullman, you can enjoy the most wonderfully relaxing moments while travelling Da Nang. With affordable rate for guests who like enjoying a luxury vacation, Furama Villas Da Nang will provide you with all the best services. 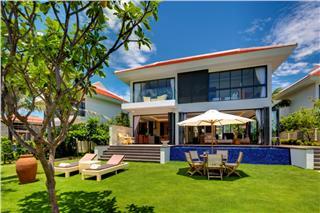 Located near Furama Resort Da Nang, these villas are more suitable for families desiring to stay in Da Nang for long. The Ocean Villas offers every opportunity conceivable to travelers from relaxing, playing to celebrating, or joining exclusive Vietnamese experiences. 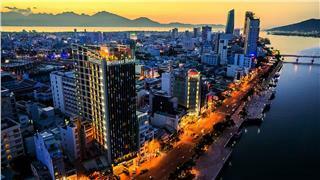 Paying from 481 USD/night, you will have unforgettable holiday in Da Nang. 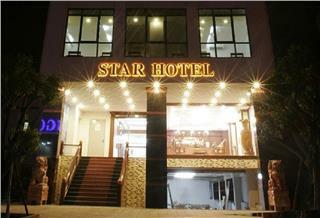 Star Hotel is a superior hotel in Da Nang located next to My Khe Beach. Choosing Star Hotel as a dwelling place for a Da Nang tour, travelers can totally immerse in nature and admire the beauty of romantic and emerald beaches and glorious yellow sun. 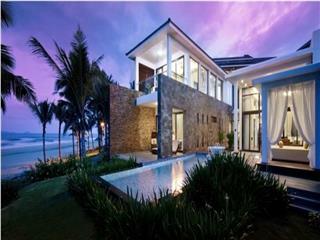 Fusion Maia Resort is a unique villa where people can relax in picturesque landscapes and seascapes of Da Nang City. With simple but elegant design and 5 star services, Fusion Maia desires to bring its clients the most healthy and luxurious life. 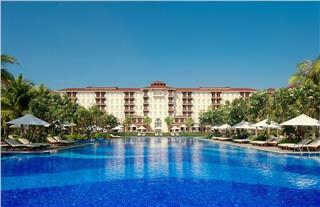 Memorable and luxury experiences await you at Premier Village Resort Managed by Accor, one of 5 star resorts in Da Nang. When residing in the hotel, you can relax on emerald beaches, explore Hoi An Old Town, or discover the traditional Han market. With the room rate fluctuating from 40 to 60 USD, Tien Thinh Hotel Da Nang is one of budget hotels in Da Nang offering basic amenities and services for travelers. The hotel has 50 guest rooms which are well-furnished and beautiful decorated. Vinpearl Luxury Da Nang was voted as one of the best resorts in Da Nang in particular and in Vietnam in general in 2014 by TripAdvisor. 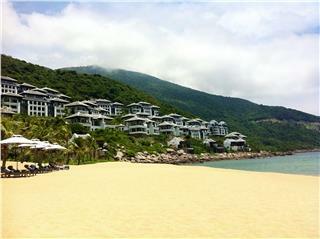 Lying in a golden place of Non Nuoc beach, Vinpearl Luxury Da Nang is an international resort beyond 5 star standards. Lying in a golden place of Non Nuoc beach, Vinpearl Luxury Da Nang is an international resort beyond 5 star standards which was voted as one of the best resorts in Da Nang with a deluxe residential complex of 39 opulent beachfront villas. Olalani Resort and Condotel is one of five star resorts in Da Nang built on the Non Nuoc Beach, one of the best beaches in the world. The luxury resort has a modern and unique architectural style featuring Hawaii features. 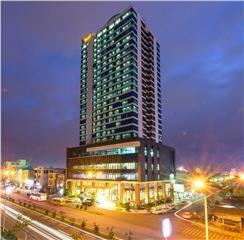 HAGL Plaza Hotel is of the most favorite hotels in Da Nang. It is near many famous Da Nang attractions and other neighboring destinations. The hotel has 206 luxury rooms with full of modern amenities and high-quality services. 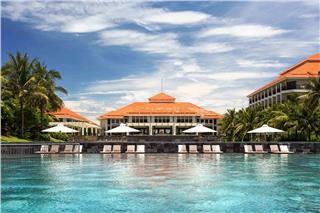 InterContinental Da Nang Sun Peninsula Resort will provide instant confirmation and a best guaranteed rate. Many luxury and international standard services from accommodation to recreation are looking for your exploration. 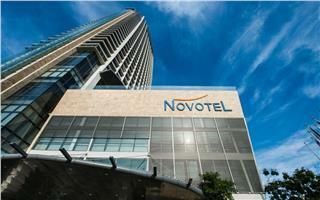 Novotel Da Nang Premier Han River with 323 rooms and suites designed in contemporary style are an ideal choice for all guest who want to contemplate the magnificent view of city and river. 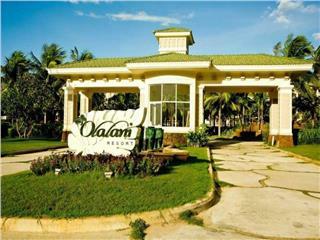 The affordable price is from 109 USD per night.